In Focus: EXO Reminds Us That They're Visual Kings With "Don't Mess Up My Tempo"
After months of drought, K-pop power group EXO finally dropped their comeback with the album Don't Mess Up My Tempo on November 2, and to say that we're floored is an understatement. With the title track "Tempo" and the rest of its fresh-sounding tunes, EXO's fifth album is a decadent musical treat for their beloved EXO-Ls, earning them the status of quintuple million sellers after reaching over 1 million sales in the pre-orders alone for the fifth time in a row. But aside from the electric music and their effortless ability to smash records, another thing that utterly overwhelmed us is the visual feast that EXO served us with. (It seriously took me at least 12 hours to process everything and tweet about this comeback. Yup.) From the overall biker chic concept to the slick and sultry visuals of "Tempo," EXO proves that their sense of aesthetics is hard to rival—and no one can tell us otherwise. To break it down for you, here are the DMUMT moments demonstrating that the boys of EXO are the kings of visuals. Prepare to be attacked. 1. They sold the biker concept with so much finesse. While leather jackets and motorcycles aren't the most original elements for a concept out there, EXO didn't fail in creating this solid imagery for us. They brought edge and handled it with a touch of finesse, enough to make our hearts racing to full speed! 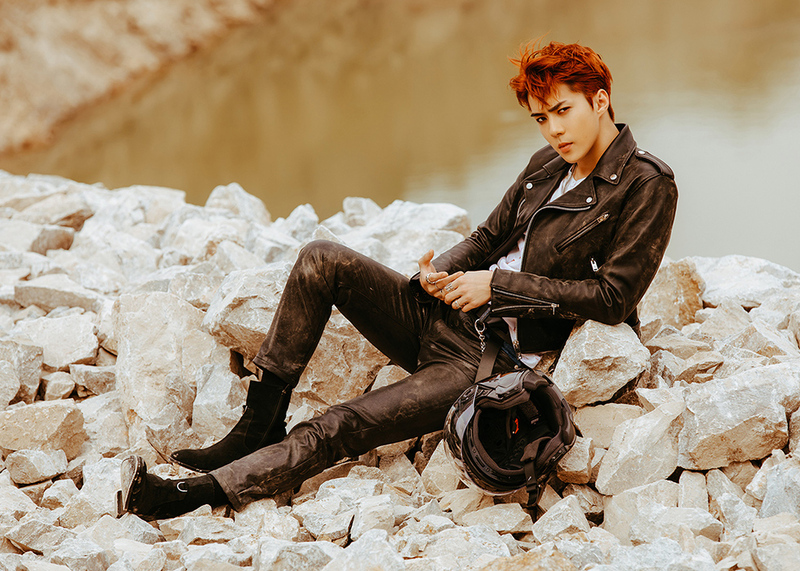 According to Chen, Sehun looked the best in the biker concept, and he might just be right! Meanwhile, Lay finally joined his brothers in this comeback, but why are we thirstier than ever? 2. Their music video is packed with visual treats. With electrifying cinematography, at least five outfit changes, mesmerizing closeup shots, the full display of the choreography, and more tasteful bits, the "Tempo" MV took us to EXO's dimension in a whole new level. 3. EXO in uniform-inspired outfits is the epitome of class. 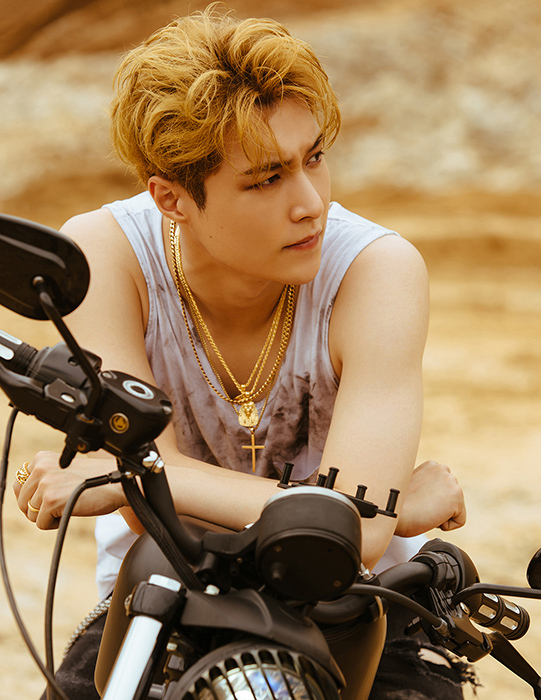 Yes, they've got the biker gang theme going on, so when EXO also released photos with a military vibe, it was a bit confusing. But, hey, who's complaining? 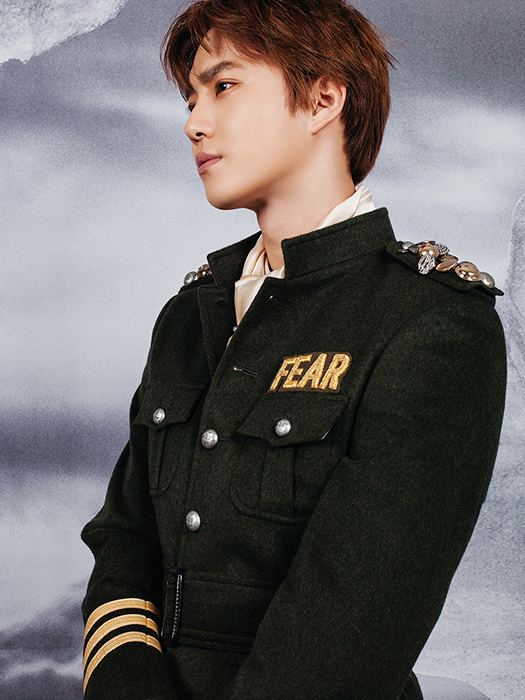 Not me, for sure, especially when our shining leader Suho looks this good in it. They also ran with this concept during their Music Bank comeback stage. And not to be biased, but Chanyeol is exceptionally owning this uniform motif like a real boss. Take me, officer. 4. We were blessed with gorgeous beauty moments. Being the beautiful creatures that they are, the boys of EXO didn't fail in giving us breathtaking beauty moments. Glowing like no other in this comeback is Chen with his golden hair, braided mullet, glass skin, and that soft flick of eyeliner. 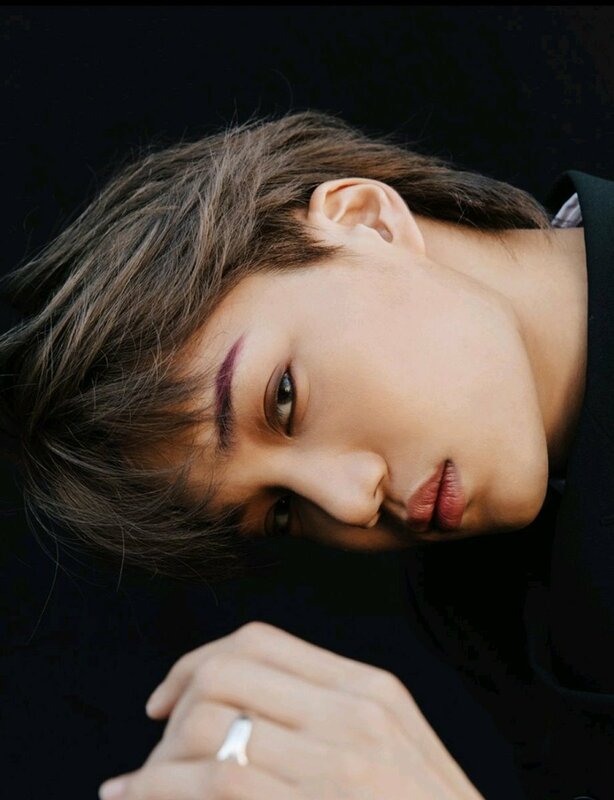 Kai also took a makeup risk with purple-drawn brows matched with subtly smoked eyes. Meanwhile, prince of eye makeup Baekhyun went for brown and peach shadows topped with inner eye shimmers during their Music Bank performance. Now, that's a look I need to steal! 5. Kai went extra hard as EXO's center. Known as the group's main visual and dancer, Kai is the EXO-L slayer of this comeback, even trending on Twitter worldwide when the MV was dropped. He leads the pack with his sharp dancing skills, sultry looks, and intense stage persona. (Honestly, it's so rude.) And if you have not been "biaswrecked," girl, you're lying. And just to put the nail in your coffin, here's a Kai-focus video of "Tempo." Bless your souls, Erigoms. EXO is definitely at the top of their game in this comeback. From delivering solid content to quickly climbing the charts, these boys are unstoppable. As Xiumin has put it, there's nothing that could get in the way of EXO and EXO-Ls. The Kings are back, so make way.